„The happiest street in the world, the street where the four seasons of the year live together, the only street of the land that I wish would never end“. This was how, in 1935, Spanish writer Federico García Lorca paid poetic homage to Barcelona’s Las Ramblas. 80 years later, the most famous street in the Catalan capital is well renowned for its never-ending hustle and bustle, and a melting pot of visitors and residents from many different cultures. Now, after the recent atrocity on August 17th, las Ramblas are also a symbol of courage and solidarity. After the horrific events that took the lives of 14 innocent bystanders, images of unity and tolerance gave us some comfort. Queues to donate blood, residents opening the doors to their homes to tourists who could not access their hotels and taxi drivers transporting people free of charge are just a few examples. The words of the mayor Ada Colau summed up Barcelona’s commitment to be a „city of peace, open to the world“. Unfortunately, despite the public’s overwhelming displays of generosity and goodwill, the tragic events have also been used by various groups to fuel Islamaphobia and cultivate an anti-immigrant sentiment. A day after the killings, dozens of people gathered in the centre of Barcelona during a far-right demonstration. But it’s not only radicals who stir up such extremist views. Certain Spanish mainstream media also scapegoated Muslims, immigrants and refugees, ignoring the fact that jihadists have nothing to do with the vast majority of Muslim communities living in Europe. It is important to avoid trivialising such indiscriminate criminal attacks on our streets. However, fuelling xenophobia and fostering hatred is not the way forward. 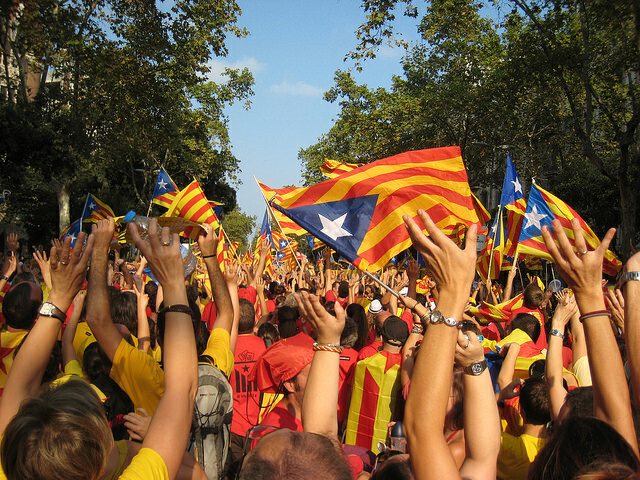 In a country where far-right parties have fortunately been distant from the political scene, the continued cultivation of solidarity and tolerance is essential in allowing Las Ramblas to remain the happiest street in the world. Face it: Six billion out of the world’s seven billion people have mobile phones, but only about 4.5 billion have toilets. Recently voted the UK's "coolest city", Bristol has a major rproblem: homelessness.